Kentucky Liquor Liability Insurance. Everyone knows that too much booze is never a good thing. It can result in you saying something you don't mean. Lead to you injuring yourself - or others. It can even result in death from alcohol poisoning or a serious accident. In a legal case like an accident involving alcohol, the intoxicated person is usually held liable for their actions. What about the people who were serving them, though? Can they be held accountable for not cutting people off sooner? Can you hold them liable? The answer is Yes. 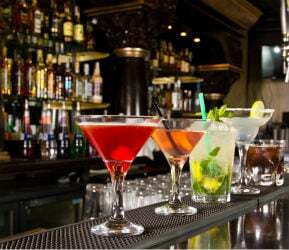 Most major events and entertainment hotspots that serve alcoholic beverages may be held responsible for the unlawful actions of intoxicated customers. To cover liabilities, the owners of these entertainment spots usually take measures to limit their risk of liability, but they will still need to protect their business with a suitable Kentucky liquor liability insurance policy. Kentucky liquor liability insurance protects your establishment or event from unlawful actions of intoxicated customers with rates as low as $37/mo. Get a fast quote and protect business now. The language of Kentucky liquor liability insurance policies can vary, but in general - the insurance company agrees to pay amounts you become legally obligated to pay as damages because of liquor-related injury that this insurance covers. The liability must be imposed because of injury caused by someone to whom you sold, served, or furnished alcoholic beverages. The insurance company also defends you against any suit that seeks damages but only if the coverage provided applies to the damages claimed. This oversight is common when buying Kentucky liquor liability insurance, so you should not assume that your policy protects you from liabilities resulting from liquor served offsite. Often, a catering add-on can be included to your coverage to give protection for offsite service. Before you pop a single beer away from your premises, you need to know for sure if your policy includes a catering supplement. 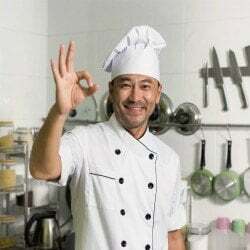 Any KY establishment that serves alcoholic beverages, since it's exposed to law suits charging that they served liquor to intoxicated persons who was later involved in an accident. Service businesses like restaurants, hotels, taverns, sports bars, package stores, halls and private and fraternal clubs, nightclubs, riverboat casinos, bowling alleys, special events and even bed and breakfasts, are common businesses than need liquor legal liability insurance. In addition to purchasing KY liquor liability insurance insurance, businesses need to be proactive in reducing their liquor induced claims. From instructing employees to decline serving alcohol to obviously intoxicated individuals, to demanding strict measuring of all mixed drinks, to pushing for use of designated drivers or taxis, you can lower your likelihood of suffering liquor liability claims by implementing and imposing safe alcohol-serving practices. 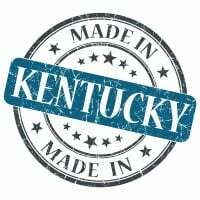 Request a free Kentucky Liquor Liability insurance quote in Alexandria, Ashland, Barbourville, Bardstown, Beaver Dam, Bellevue, Benton, Berea, Bowling Green, Brandenburg, Cadiz, Calvert, Campbellsville, Carrollton, Central, Cold Spring, Columbia, Corbin, Covington, Crescent Springs, Crestview Hills, Crestwood, Crittenden, Cynthiana, Danville, Dawson Springs, Dayton, Douglass Hills, Eddyville, Edgewood, Elizabethtown, Elsmere, Eminence, Erlanger, Flatwoods, Flemingsburg, Florence, Fort Mitchell, Fort Thomas, Fort Wright, Frankfort, Franklin, Georgetown, Glasgow, Graymoor-Devondale, Grayson, Greenville, Harrodsburg, Hartford, Hazard, Henderson, Highland Heights, Hillview, Hodgenville, Hopkinsville, Hurstbourne, Independence, Indian Hills, Irvine, Jeffersontown, La Grange, Lakeside Park, Lancaster, Lawrenceburg, Lebanon, Leitchfield, Lexington-Fayette, London, Louisville, Ludlow, Lyndon, Madisonville, Marion, Mayfield, Maysville, Middlesborough, Middletown, Monticello, Morehead, Morganfield, Mount Sterling, Mount Washington, Murray, Newport, Nicholasville, Oak Grove, Owensboro, Paducah, Paintsville, Paris, Park Hills, Pikeville, Prestonsburg, Princeton, Prospect, Providence, Radcliff, Richmond, Russell, Russellville, Scottsville, Shelbyville, Shepherdsville, Shively, Simpsonville, Somerset, Southgate, Springfield, St. Matthews, Stanford, Stanton, Taylor Mill, Union, Versailles, Villa Hills, Vine Grove, Walton, West Liberty, Wilder, Williamsburg, Williamstown, Wilmore, Winchester and all other cities in KY - The Bluegrass State.